I don’t know what made me look at my Aquafina bottle that day but what I found was an expiration date. Water expires? When I pick a bottle of water instead of soda or some other drink I thought I was doing something good for myself. I tucked that thought away, bought my water and did a little research. Water does not expire but there is a time frame for how long it will take before the plastic container makes the water taste funny. Funny like tap water, depending on where you live. Whats even funnier is that 25% of all bottled water is tap water and most of us purchase approximately 167 bottles of it a year. Apparently all you need to do to be a part of this business is put a picture of a glacier or stream on a plastic bottle, turn on the tap in your kitchen and voila, your in business. 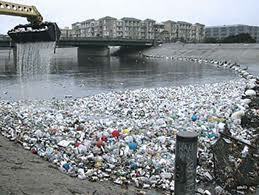 The bottled water industry earned a staggering 50 billion dollars globally last year doing just that. Once again in our quest to do something healthy we are letting large corporations destroy it and paying them well for the privilege. Lets talk a little bit about the actual container. Plastic symbol #7 is made with large amounts of Polycarbonate plastic.This chemical is a known hormonal disruptor causing miscarriages and birth defects, according to a study conducted by Case Western Reserve scientists. “Synthetic xenoestrogens,” one of which is Bisphenol A or BPA “are linked to breast cancer and uterine cancer in women, decreased testosterone levels in men, and are particularly devastating to babies and young children. BPA has even been linked to insulin resistance and Type 2 Diabetes.” Responsible baby bottle industries are producing BPA-free bottles that are clearly marked. So if you want to go to Walmart and buy a water bottle make sure it is clearly marked BPA free if its plastic or get one that’s stainless steel. It will cost you between $15 – $30 bucks but it safer for you and it helps keep the Earth cleaner and greener. 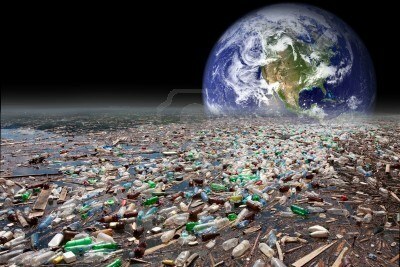 Did you know it takes one of those plastic bottles about 450 years to completely degrade? The 3 big boys in the water game are Pepsi, Coke and Nestles. Pepsi’s Aquafina and Coca-Cola Dasani are both made from purified water sourced from public reservoirs commonly known as tap water, as opposed to Danone’s Evian or Nestle’s Poland Spring, so-called “spring waters,” shipped from specific locations the companies say have notably clean water. Coke will supposedly begin putting their water sources on their label this fall. When I lived in NY the tap water was tasty but here in Tampa, not so much. I think that is one reason why bottled water has become so popular. If we made our communities fix our water filter systems we might drink more tap water and save a lot of money. I have a Brita filter and I love it. It saves money and tastes just as good as any bottled water. Every study done has shown that even if your tap water tastes funny, bottled water is no safer and much more costly. Let stop the corporations from privatizing water and screwing water up even more than they already have. Go get a water filter and a steel thermos and instead of being a part of the problem become a part of the solution. One person can make a difference.